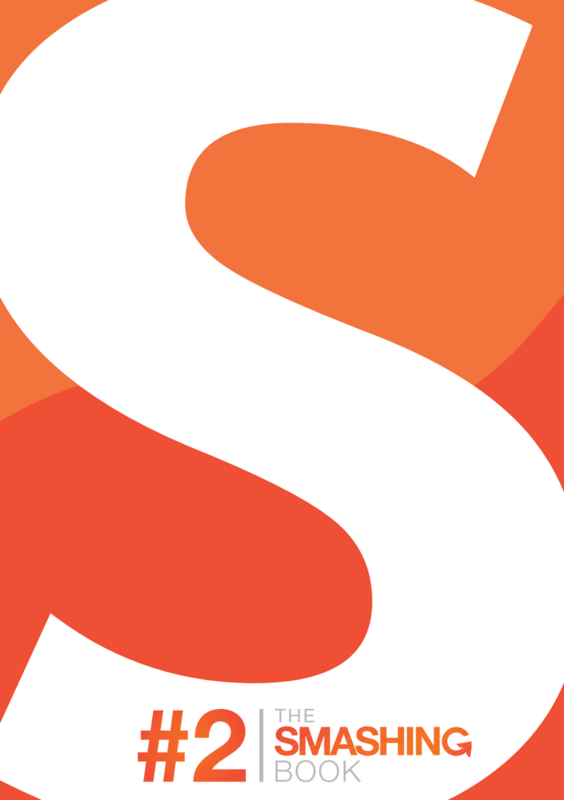 Smashing Magazine’s Complete Library + Newest Book & Content, Unlimited Access to 60 eBooks About Web Design & Development. This week and in tandem with Smashing Magazine, we’ve brought you a truly awesome promo bundle you will definitely want to add to your collection: Smashing Magazine’s Complete eBook Library! 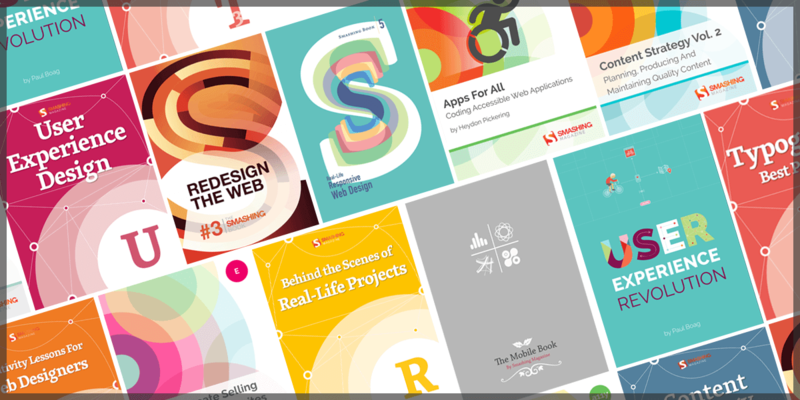 With this bundle you can get unlimited, unrestricted access to 60 eBooks about design trends and advanced coding techniques, straight from the most relevant design and development authority on the web. You can get a library filled with the savvy and expertise of best selling authors, regularly priced $s488, for a one time payment of only $29! This is the perfect bundle to learn about Coding, UX Design Trends, Mobile Design, Graphics, WordPress, Freelancing, Content Strategy, etc. 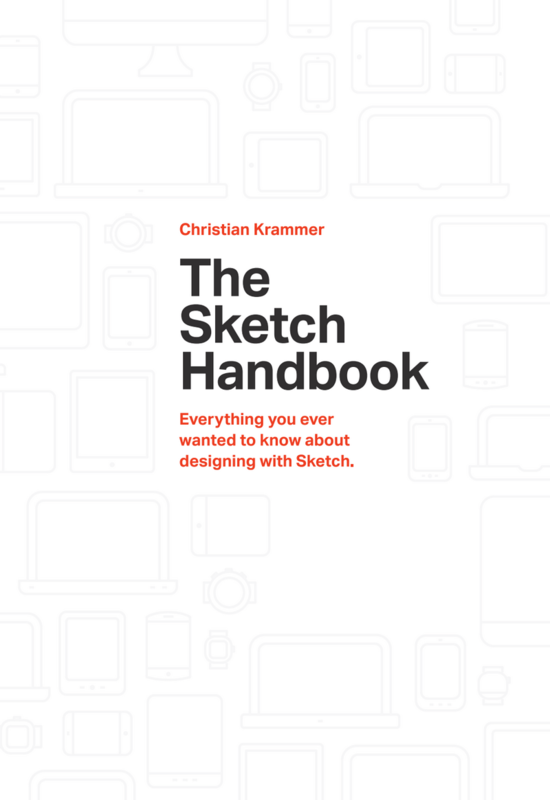 Get access to best selling pieces like Alla Kholmatova’s Design Systems, Paul Boag’s The Sketch Handbook, and much more! 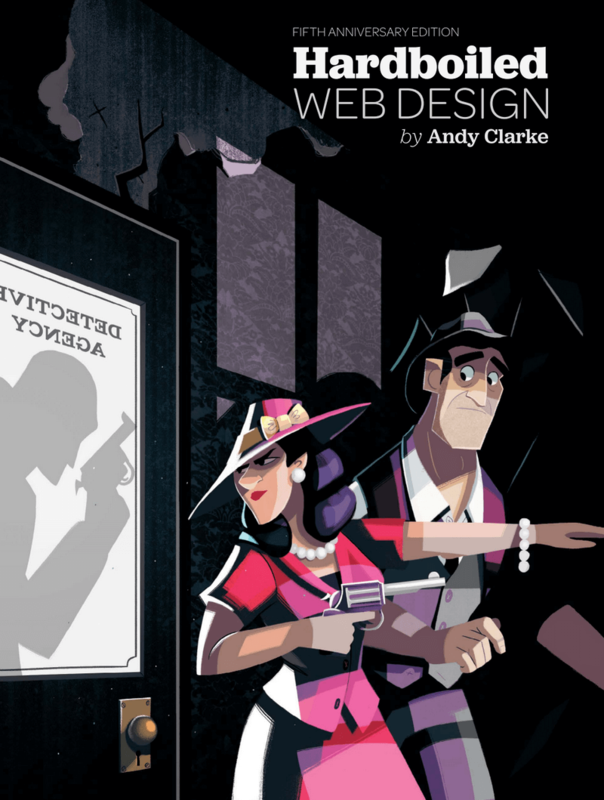 An eBook Library With 60 Web Design eBooks Worth $396. You get immediate access to all eBooks via .zip archive. Every eBook is available in PDF, ePUB, Mobi, and Kindle file formats. All eBooks are DRM-free so that they’ll never expire! 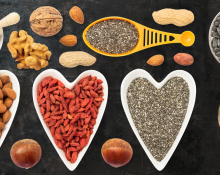 Save up to 93% on the regular price! If you ever wanted a reliable source of useful and valuable content, look no further. 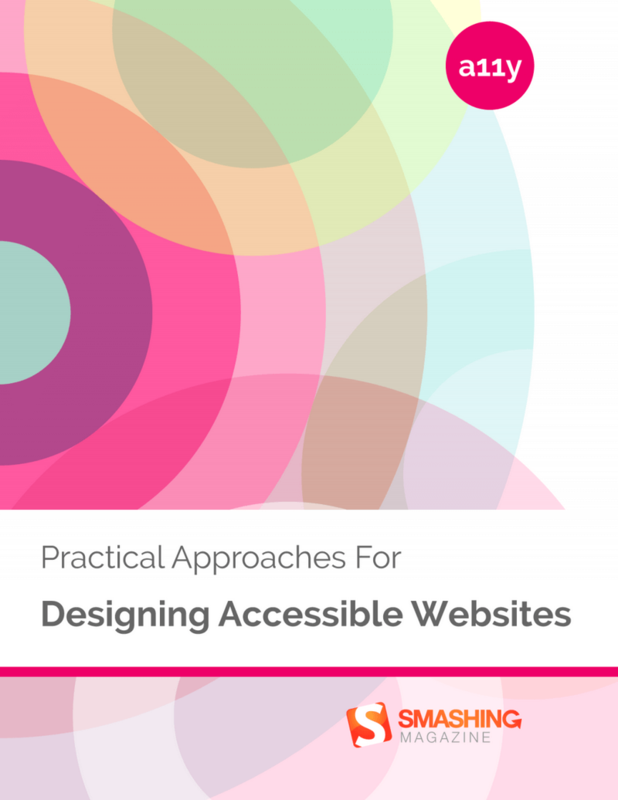 Our Smashing eBook Library has everything you need to start crafting well-designed and well-built websites today. For almost 10 years now, Smashing Magazine has been where thousands of designers and developers go to learn about design trends and advanced coding techniques. That is why they’ve have developed the Smashing Library, a comprehensive collection of 60 valuable eBooks. 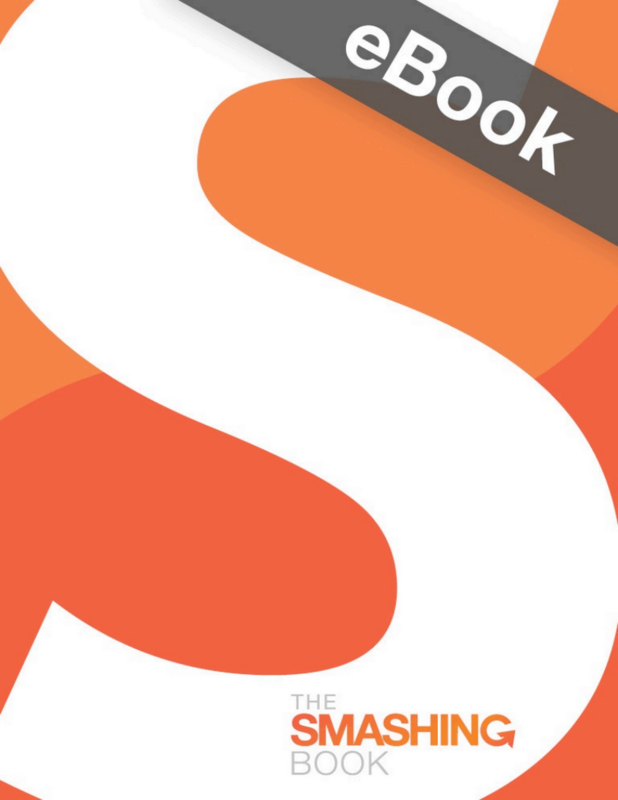 The Smashing Book #1 (eBook) is about best practices in modern Web design. 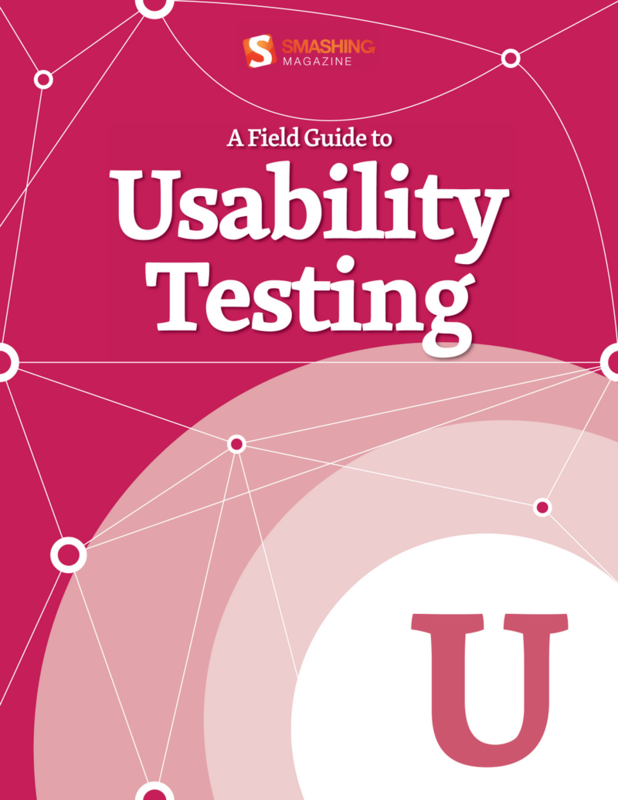 It shares technical tips and best practices on coding, usability and optimization and explores how to create successful user interfaces and apply marketing principles to increase conversion rates. It also shows how to get the most out of typography, color and branding so that you end up with intuitive and effective Web designs. And lastly, you will also get a peek behind the curtains of Smashing Magazine. 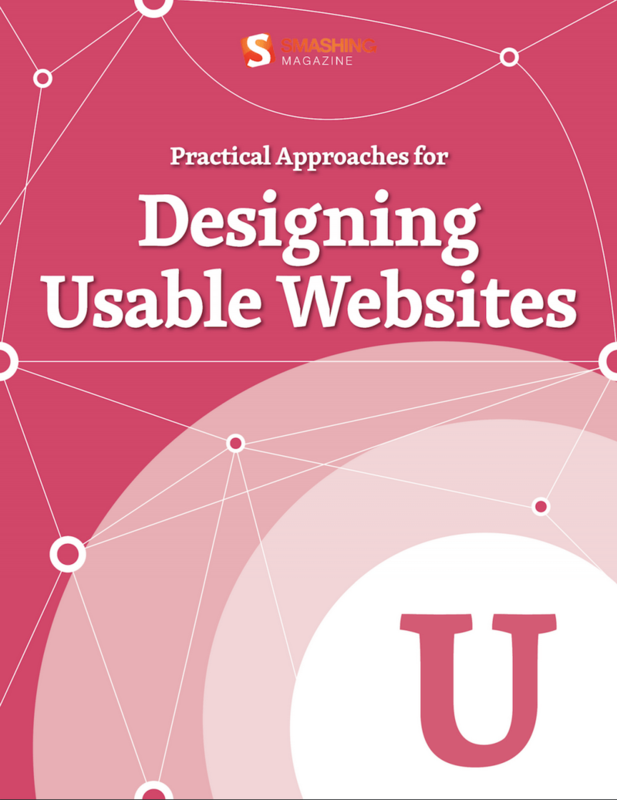 This book is a treasure of practical and useful knowledge for Web designers and developers. This first Smashing Book looks at Web design rules of thumb, color theory, usability guidelines, user interface design, best coding and optimization practices, as well as typography, marketing, branding and exclusive insights from top designers across the globe. It contains 10 chapters. 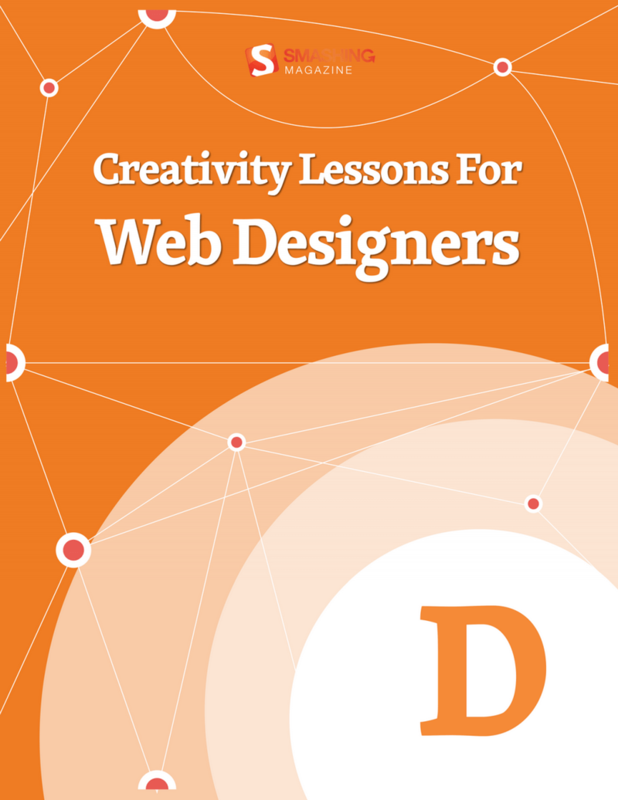 These eBooks are the long-awaited digital version of our bestselling printed book about best practices in modern Web design. They share valuable practical insight into design, usability and coding, provide professional advice for designing mobile applications and building successful e-commerce websites, and explain common coding mistakes and how to avoid them. You’ll explore the principles of professional design thinking and graphic design and learn how to apply psychology and game theory to create engaging user experiences. The Web has changed a lot. Our tools now are advanced, and browsers are highly capable. We are facing new challenges and embracing new technologies. 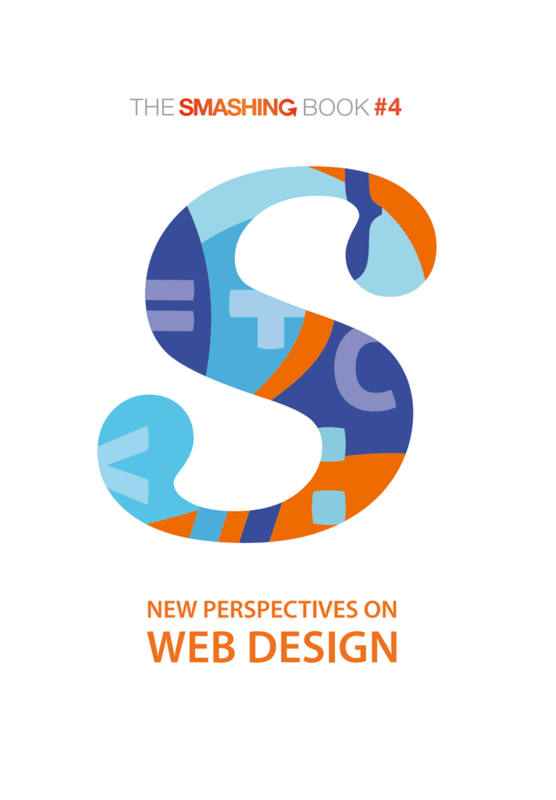 These changes require us to reconsider how we approach Web design. 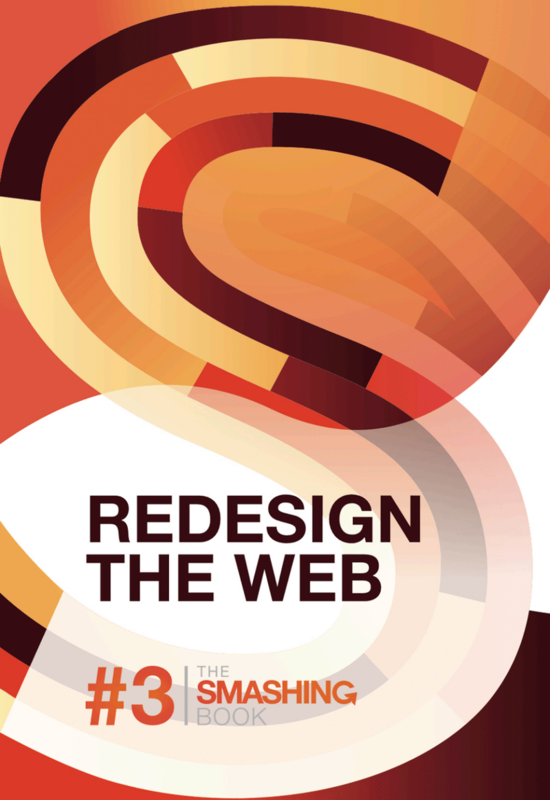 In fact, it’s time to rethink, to recode, to redesign. 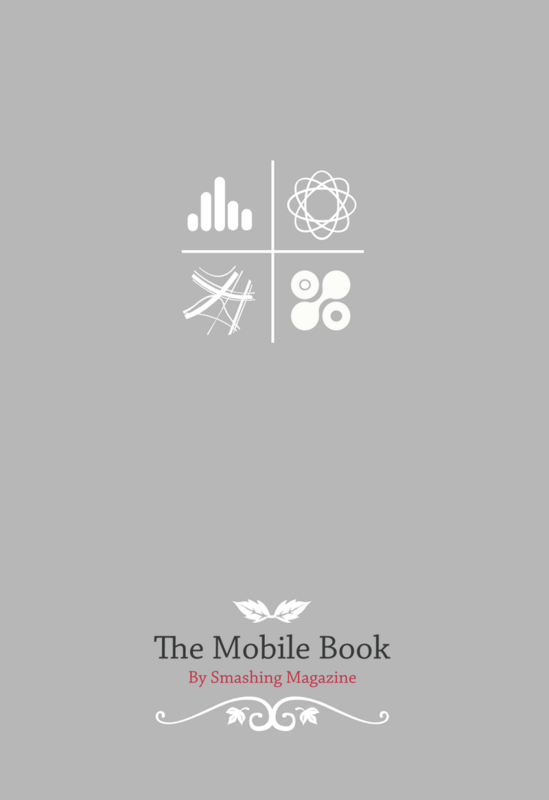 The Mobile Book features the most important things that you need to know as a designer, developer, or mobile strategist for your sites. You’ll dive deep into the peculiarities of the mobile industry, explore responsive design strategy, design patterns and optimization techniques, learn about wireframing and prototyping for mobile as well as the guidelines for designing with gestures and touch. 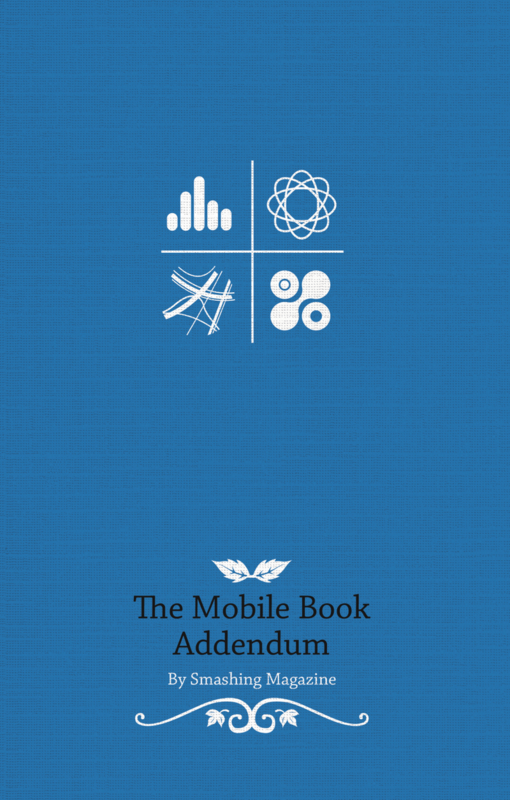 As an extra, the addendum to the book provides insights into the popular platforms such as iOS, Windows Phone, etc. Is there anything more insightful than learning about the workflows from fellow designers and developers, and what techniques they use? What made their projects a stunning success, and how do they overcome missteps? 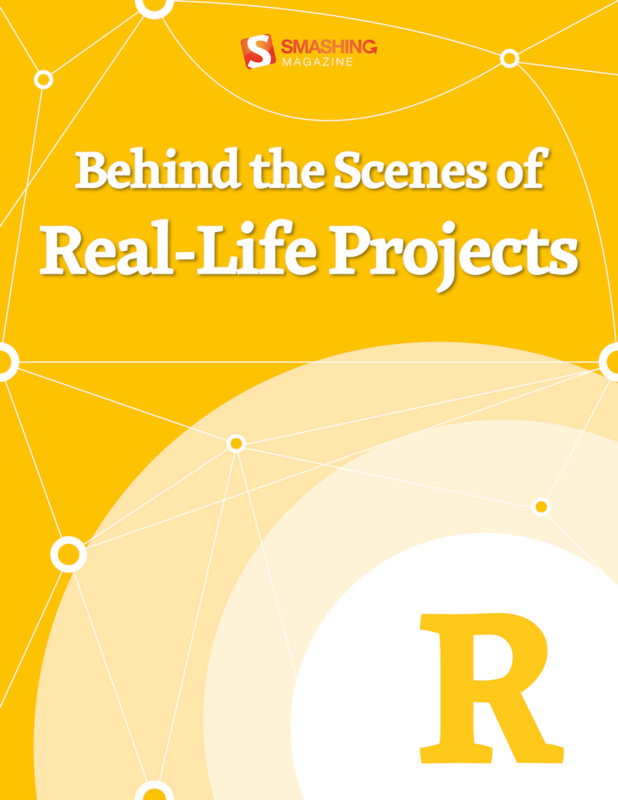 With this eBook, we’ll take a closer look at the techniques and stories of some folks behind real-life Web projects. Among others, you will discover how renowned projects such as the Financial Times Web app or the Nike Better World website were built, and learn from the success story of a translation app that made it into Apple’s top ten charts. You’ll also get an insight into Google’s User Experience Lab, and (illustrated by the example of Pinterest) explore the importance of paint performance. Furthermore, our Smashing authors share valuable lessons learned in the course of their careers — from both successes and failures. 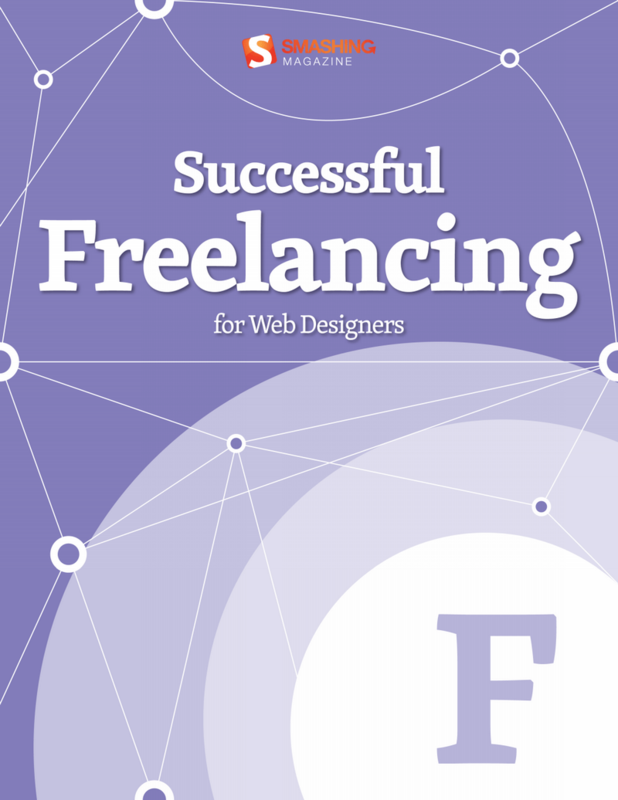 This eBook is full of handy tips, ideas, and personal experiences that are beneficial to any Web professional. 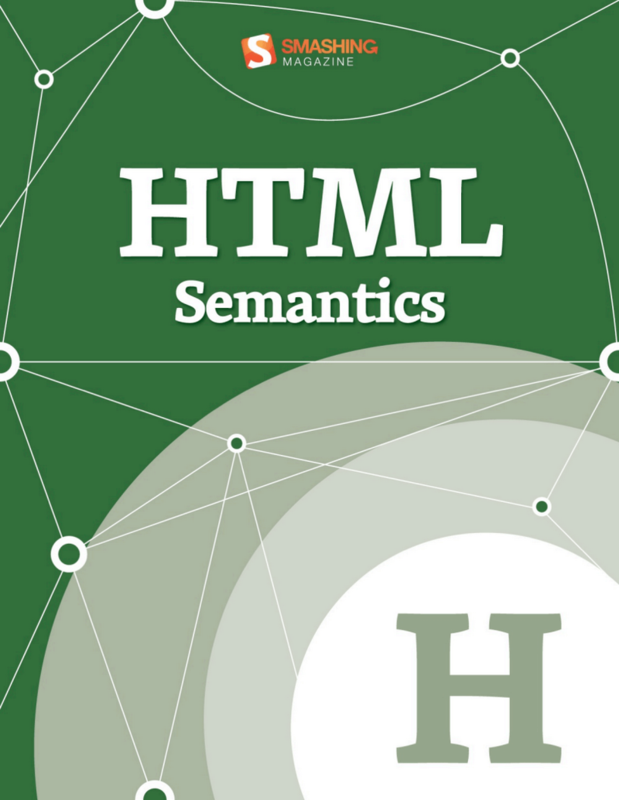 You won’t get far without the foundational understanding of HTML semantics – but it is even more important to follow up on the recent developments and discussions. 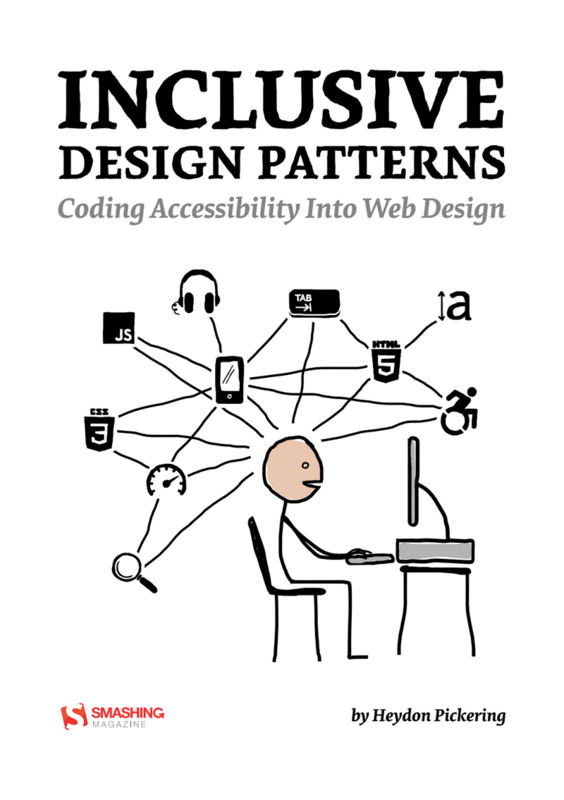 This eBook addresses the importance of semantics in our code. It touches on outlining algorithms, HTML5 semantics, the pursuit of semantic value and the HTML semantic grid system. Even the most thought-out and best-planned user experience can get lost when attention to certain details falls short. 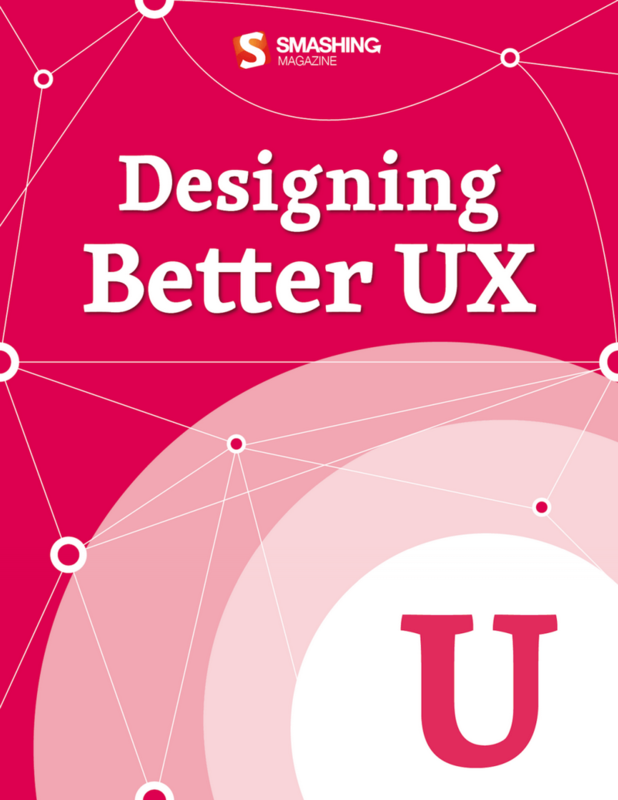 To raise awareness for those little things that add up to an ideal user experience, we have put together “Designing Better UX”. Whether you’re creating a game or a website, a lasting bond with users is more often than not the result of emotional attachment. 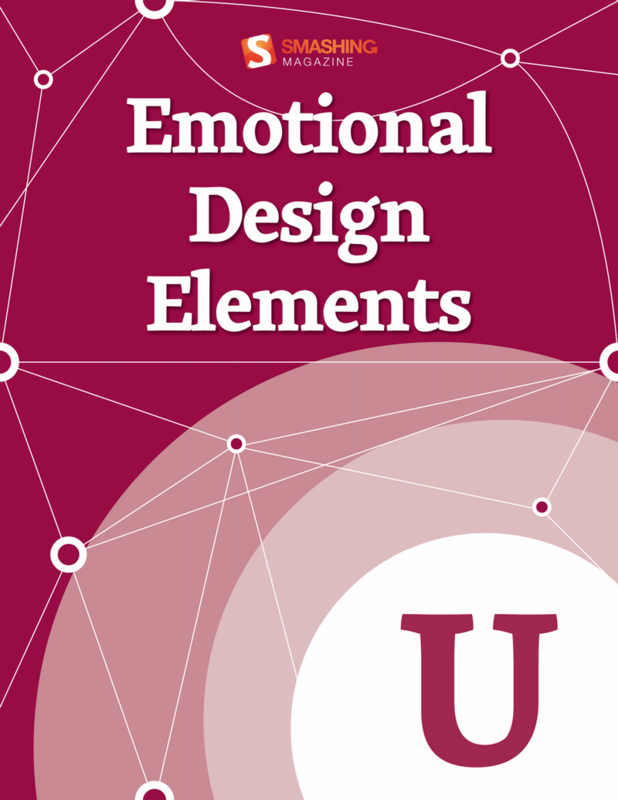 Knowing the ins and outs of emotional design will enable you to imbue your creation with personality and to shape the user’s perception. With more and more people reaching out for their smartphones and tablets to shop online, mobile e-commerce is set to reach $86 billion by 2016 — a development that brings along entirely new demands on e-commerce websites. 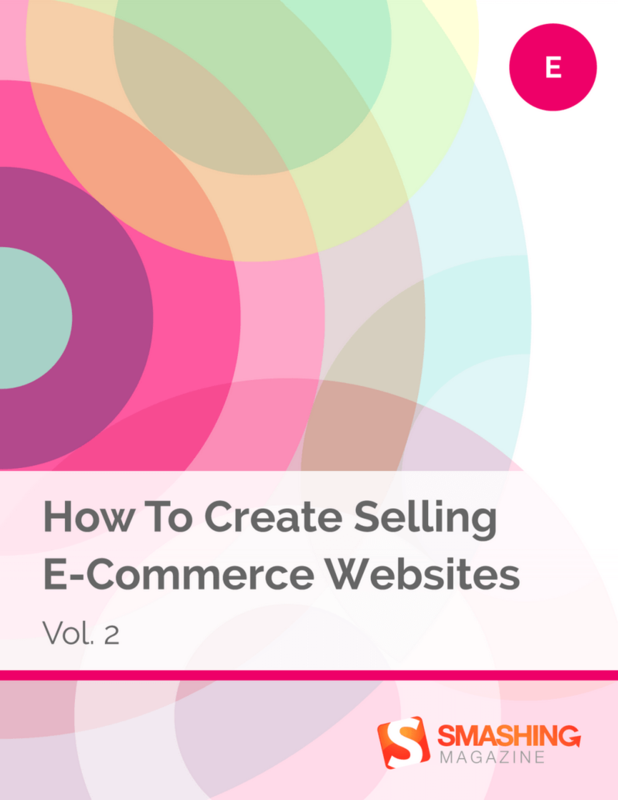 After our first e-commerce eBook was published four years ago, we wanted to take a fresh look at the challenges that crafting online shopping experiences bring along today, and equip you with the necessary know-how on how to deal with them effectively. How should you set up menus for optimal usability? Does mobile UX design follow different rules? How can you use sound to make your website not just more appealing but also easier to navigate? These and other questions should be factored into any decisions about modern website design, because they will influence the amount and quality of repeat traffic. While users expect content to be unique and exciting, they also prefer clear, predictable patterns when it comes to navigation. After all, navigation is merely a means to an end: consuming content without hassle and not spending too much time looking for it. 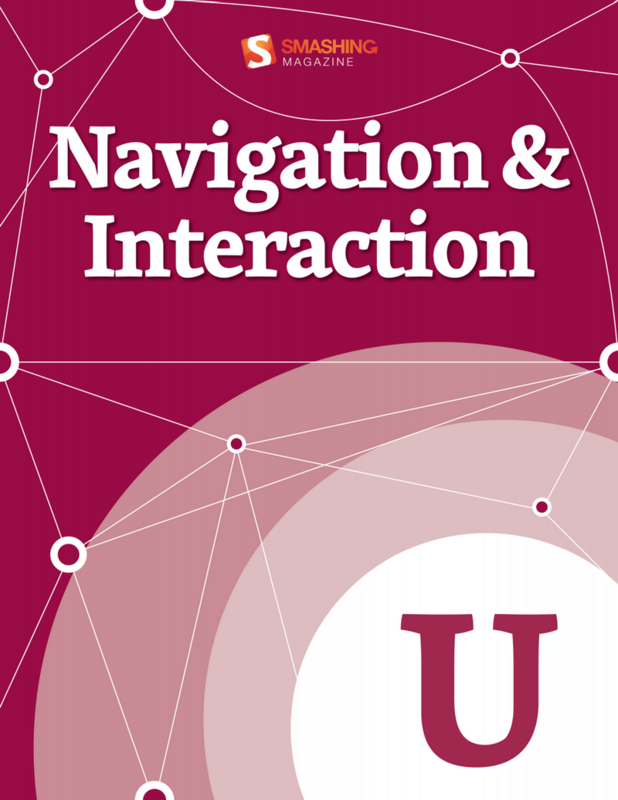 The foundation of a solid, frustration-free user experience thus lies in a well-structured, simple navigation system. But which design decisions have really proven to work well in practice? The user-centered design process is based on various steps, each with its respective approaches. 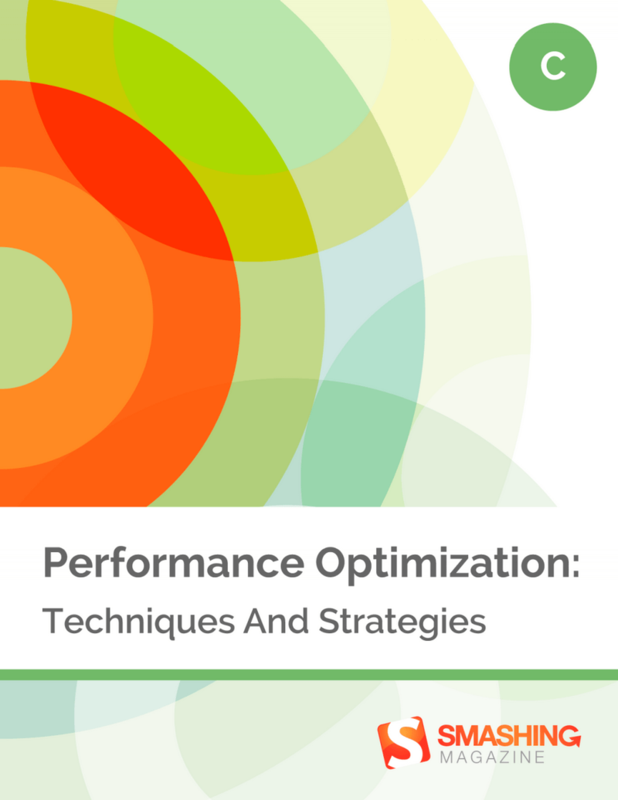 Learn about designing flows, optimizing emotional engagement and performing heuristic website reviews. 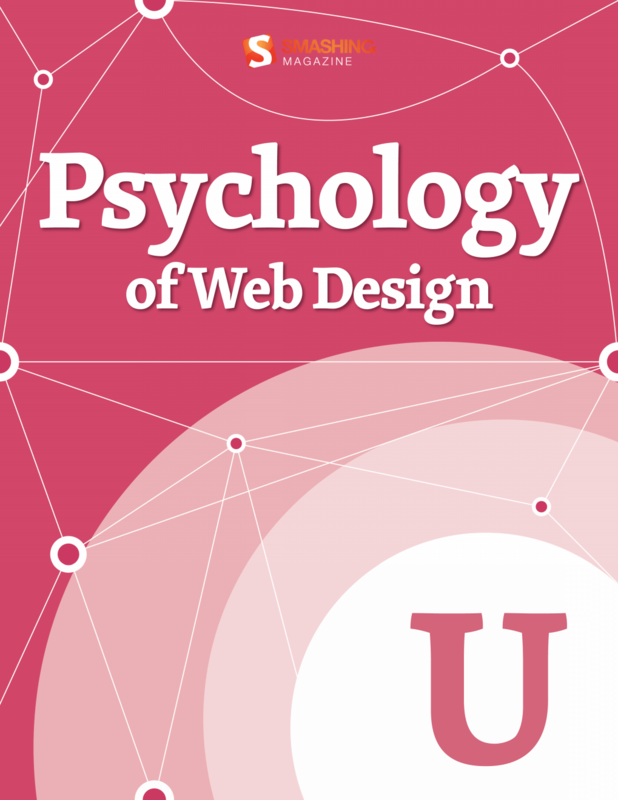 Psychology of Web Design gives you insights on how the human brain deals with different elements, colors, contrast, symmetry and balance. Combining the usability guidelines from Maslow’s pyramid will surely help you design closer to your audience’s desires. 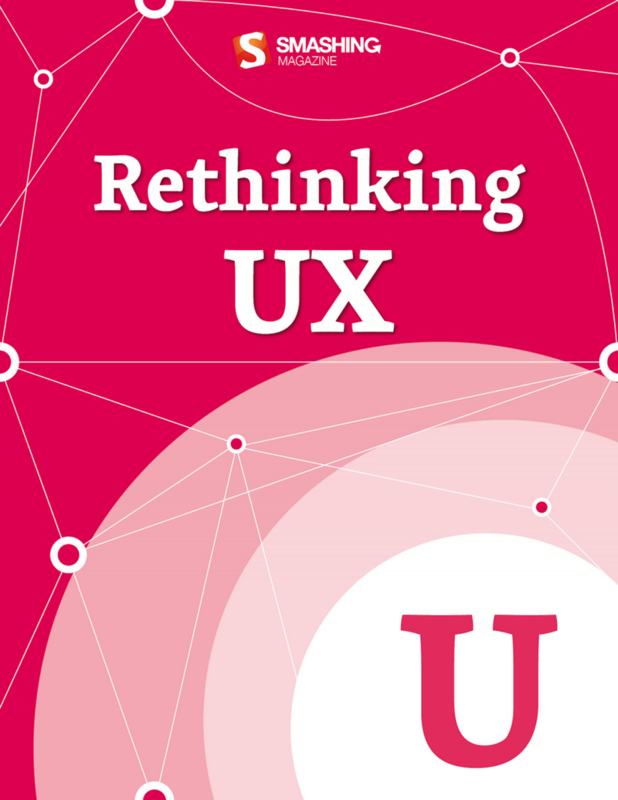 In “Rethinking UX”, various UX professionals share their lessons learned and provide practical advice from their very own personal experience. 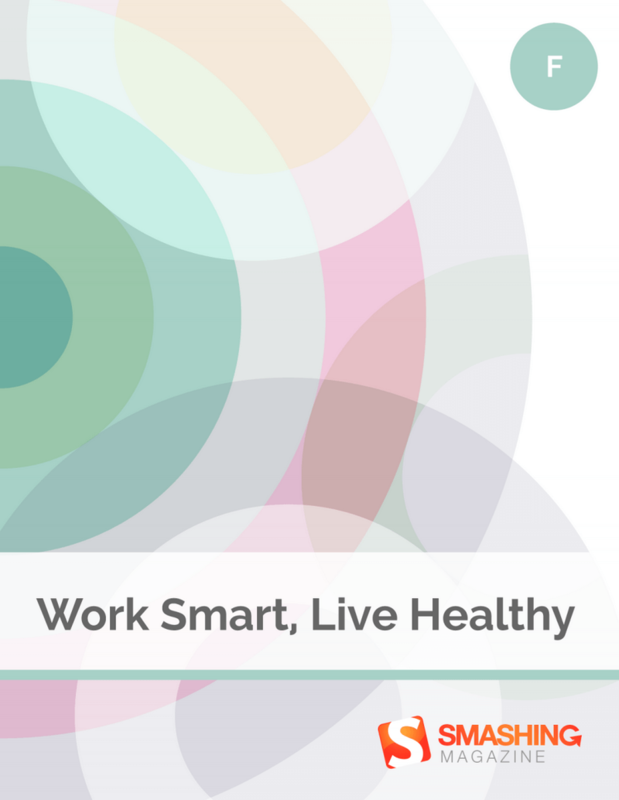 The eBook is packed with interesting thoughts and concepts that let us reflect on our own practices. Every designer has their own user research techniques and strategies, but leaving the office and talking to people on the streets can foster innovation even more as any thought-out strategy ever could. 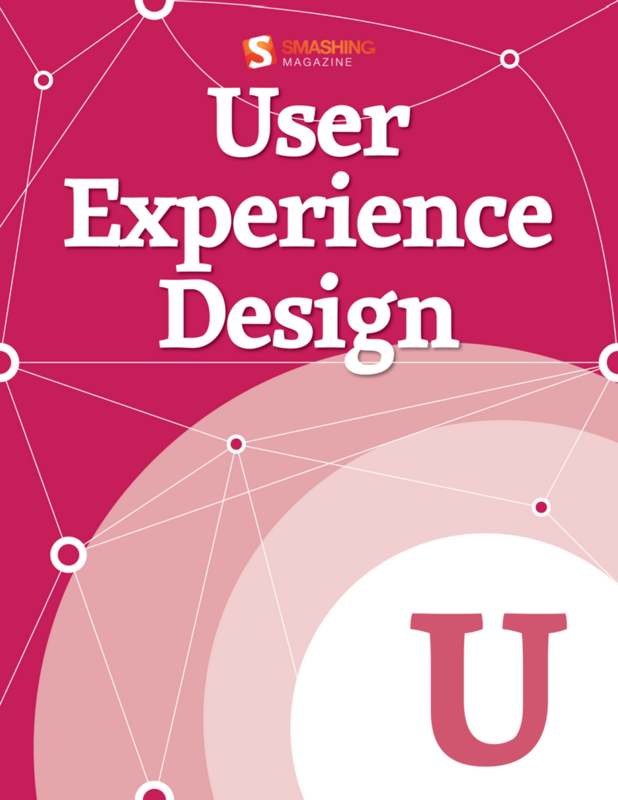 User Experience (UX) can be strongly influenced by behavioral factors such as emotions, beliefs, preferences and even cultural backgrounds. Being aware of this, Web designers keep developing strategies to improve the overall UX with the help of storytelling, tools for problem solving, relationship engineering and costumer service improvement. 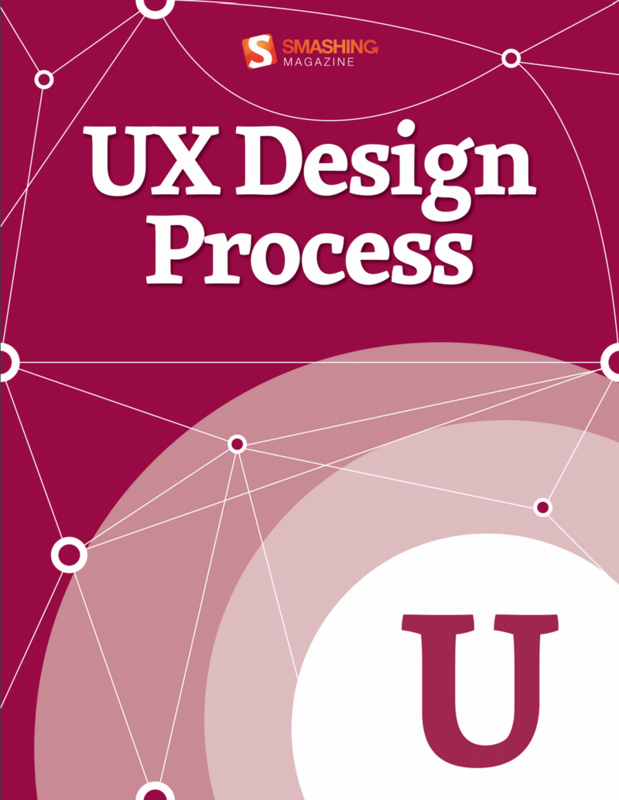 In this book, you’ll learn how lean UX has made the whole discipline more approachable and attractive to startups, and you’ll see that UX issues aren’t just a quick fix, but should also address big-picture issues. Sometimes, the solution to a problem is to fix a broken UX; other times, you will need to constantly fine-tune in order to keep up with changing demands. You’ll also look at wireframing alternatives, research planning and design bias. What is it that makes a website stand out from the crowd? What makes it memorable and meaningful? This eBook wants to approach these questions. 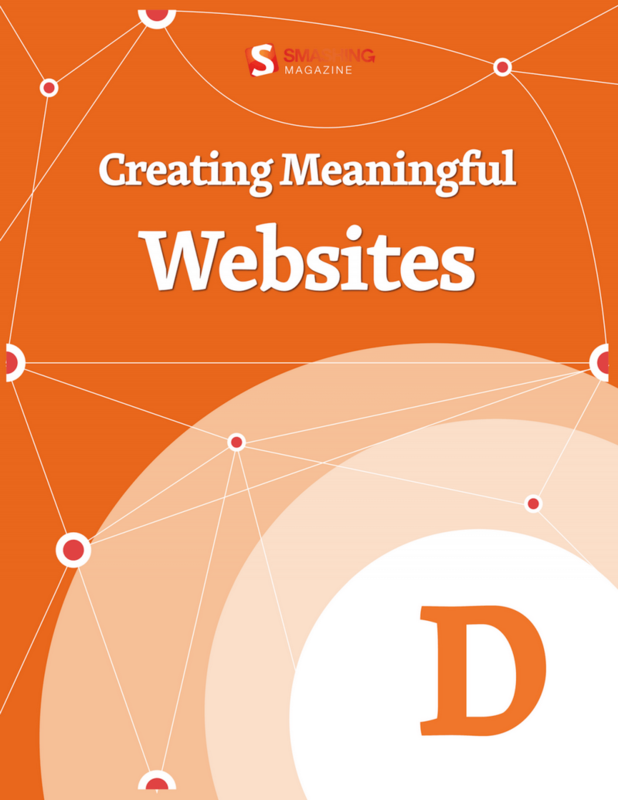 It’s in no means a step-by-step guide to follow, but rather a collection of thoughts to give you some general impulses and perspectives on creating meaningful websites. “Creativity” is a term that often partakes of something mysterious and nearly magical — something that we are blessed with, something like an ambivalent, secret power that one moment strikes us unexpectedly, and then puts us on hold when we desperately try to come up with an idea. But the infamous creative spark isn’t as random as we might think. 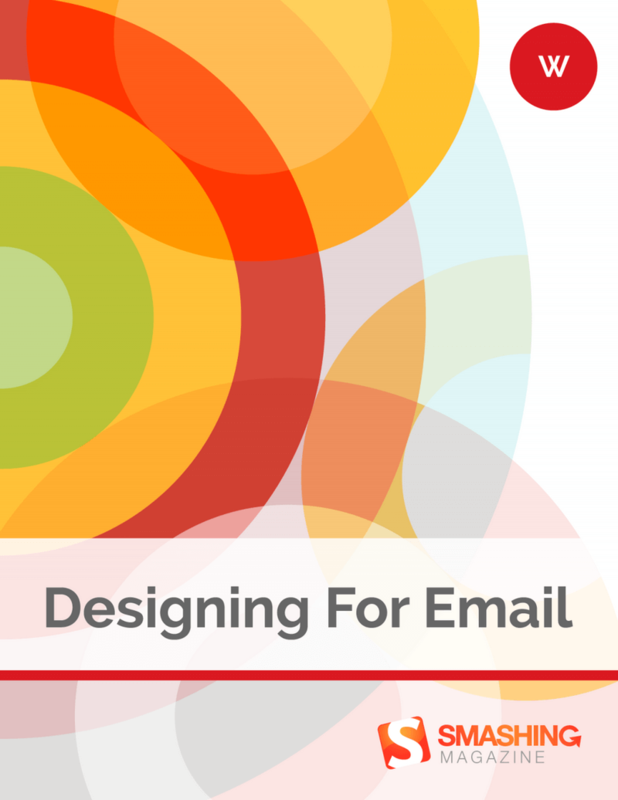 After taking a look at the current state of HTML email design, you’ll get to grips with optimizing email for mobile, and learn to build your own modular email construction kit that you can draw on to cater for best results on desktop, web and mobile clients. We’ll also explore handy tips to raise your email above inbox noise — with a friendly tone and engaging content (no dirty tricks here!) — and consider missteps that you should better avoid. Building HTML emails certainly does require some fiddling around, but it’s defintely worth it. So, are you ready to take on the challenge? 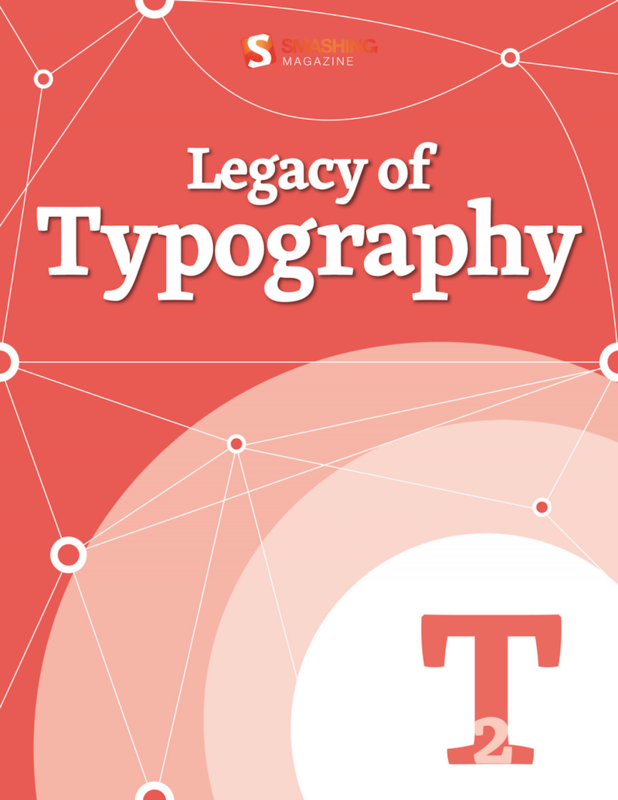 This eBook introduces historical and cultural aspects of type and how they relate to the Web industry. Find out about changing fads in type, about the complexities of Japanese characters and about typographic applications for different situations. You are sure to learn something that you didn’t know before from our great authors. 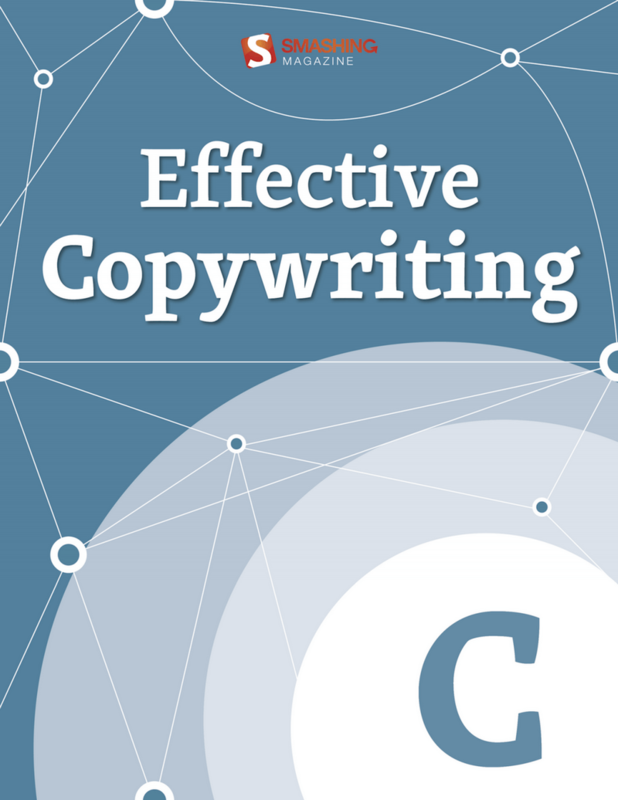 Whether you’re interested in determining the right paragraph layout or typographic details, observing the correct typographic etiquette or making the other small decisions that will dramatically influence how your website is perceived, many answers will present themselves in this collection of articles. 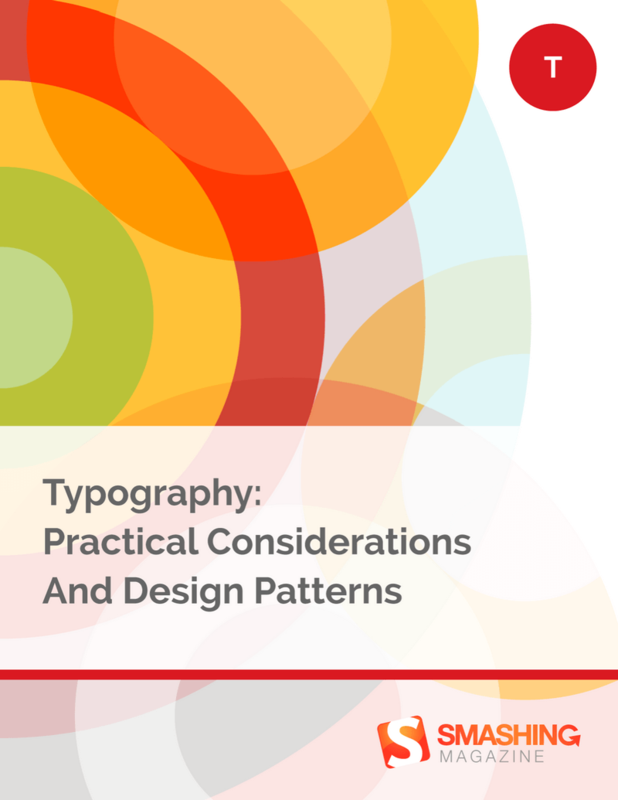 With the help of this eBook, you can learn how to train and sharpen your eyes to recognize specific typographic details which will be sure to guide you in your own projects and make it easier for you to make design decisions. 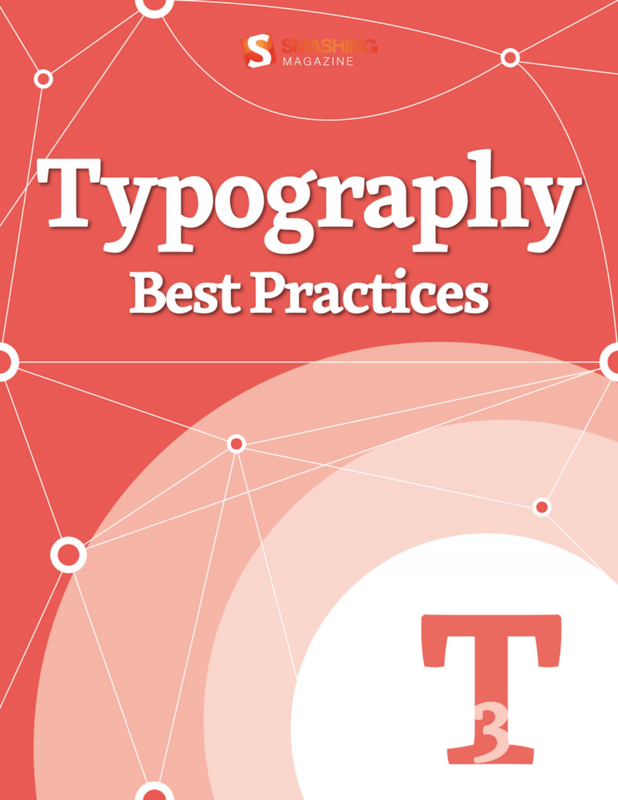 After an initial stroll through type terminology and classification, this eBook reflects on the quality of fonts (including web font providers, of course) and explores typographic design patterns as well as current practices. 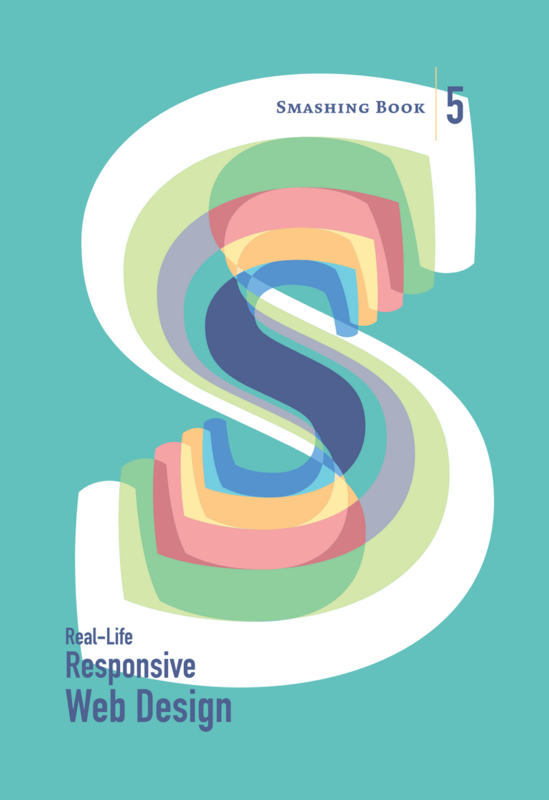 These practical considerations and a plethora of real-world examples are bound to be a valuable companion throughout your adventures when designing with type. Certain strategies can help to unlock our creative insight, and make our ideation process — and that of our team members — more effective. 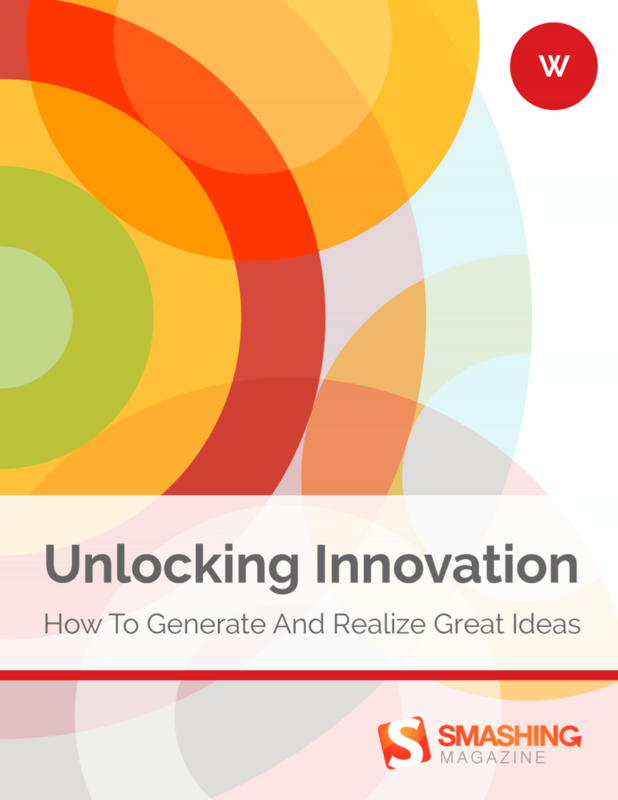 Unlocking Innovation wants to equip you with such strategies, but also go beyond the mere process of generating ideas and look at how we can actually bring them to life. Different ways of experimenting with that first vague idea and mocking it up are thus part of the eBook, just like suggestions on finding the idea that is really worthy of our time and energy. 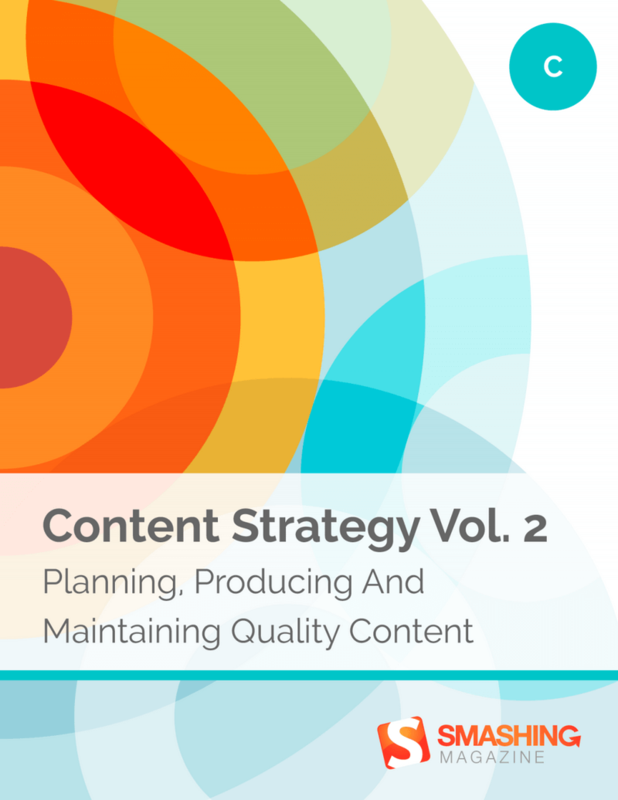 The tips that our authors have to share are very practical, and can easily be incorporated into your (or your team’s) workflow. So, take your time and examine them carefully, and, most importantly, try them out to see what works best for you. 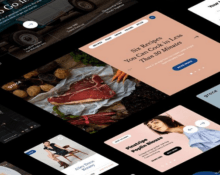 We design with viewports in mind, keep track of loading times, and hunt down even the smallest browser bugs — all to create the best possible user experience. 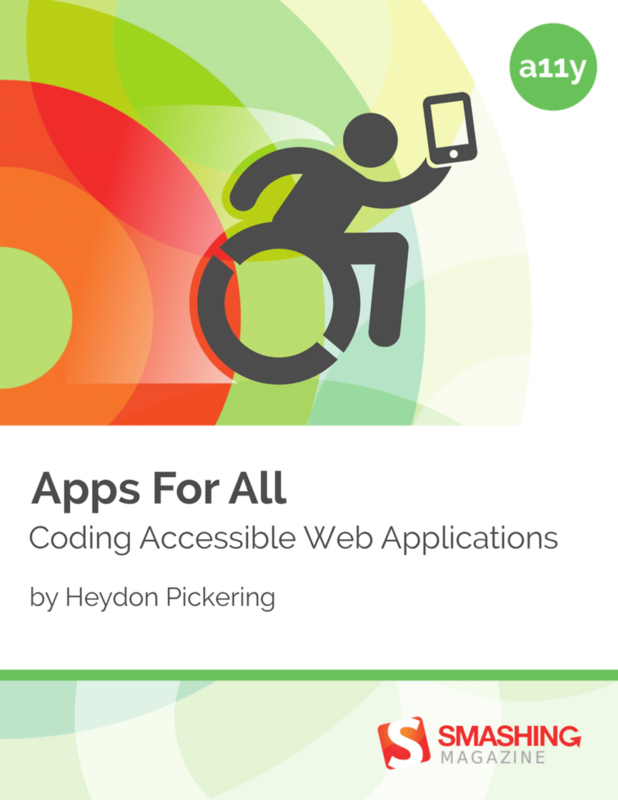 But despite all these efforts to constantly improve our products, there’s still one aspect that, unfortunately, comes up short quite often: accessibility. Nothing is more frustrating than stubborn management entangled in dated workflows and inefficient processes. 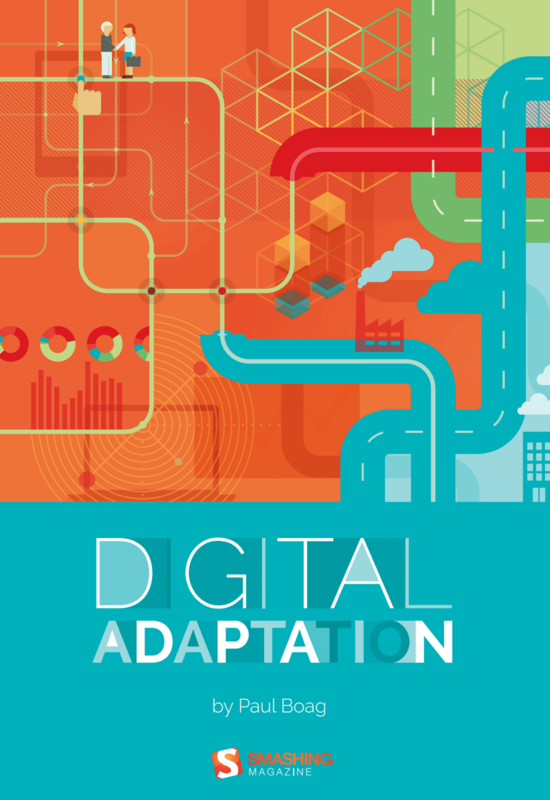 That’s why we created Digital Adaptation, a new practical book on how to help senior management understand the Web and adapt the business, culture, teams and workflows accordingly. No fluff, no theory — just techniques and strategies that worked in practice, and showed results. The main purpose of this book is to help product managers who work specifically with digital projects build better — less complex, more focused, less long-winded and more intelligent — products. 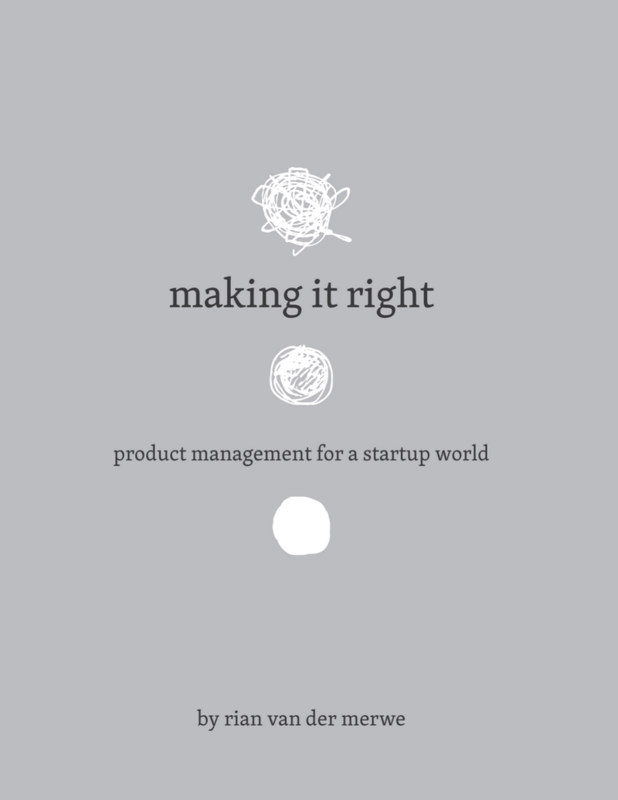 By featuring lessons learned from real-life projects, the book provides a structured framework for strategic product management — to help build the right products, at the right time, for the right people with just the right amount of process involved. 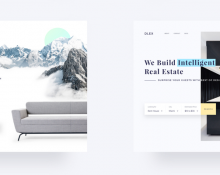 Marketing is an essential part of Web design and knowing its 101 helps designers see their design decisions in a broader context. 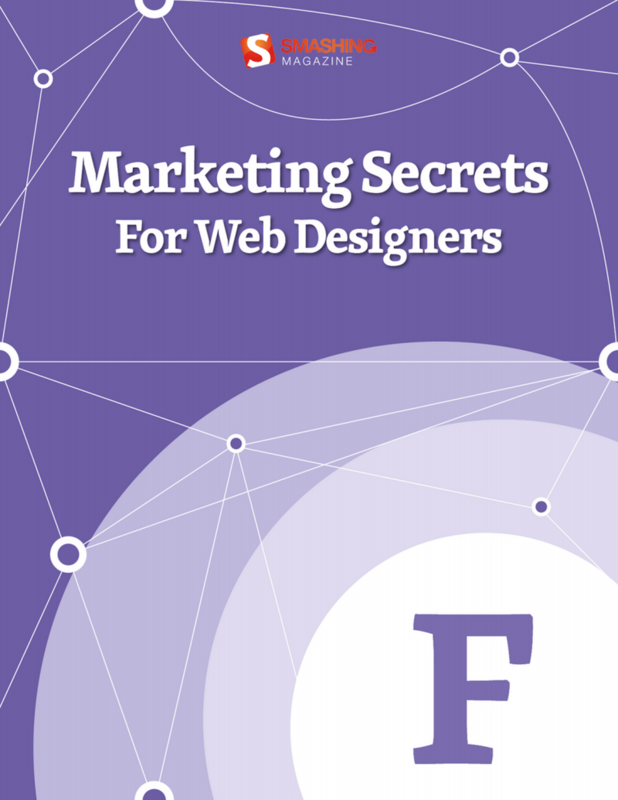 As jumping in at the deep edge and simply starting off marketing can be quite delicate, “Marketing Secrets For Web Designers” is a companion tailored to the specific needs of Web professionals. 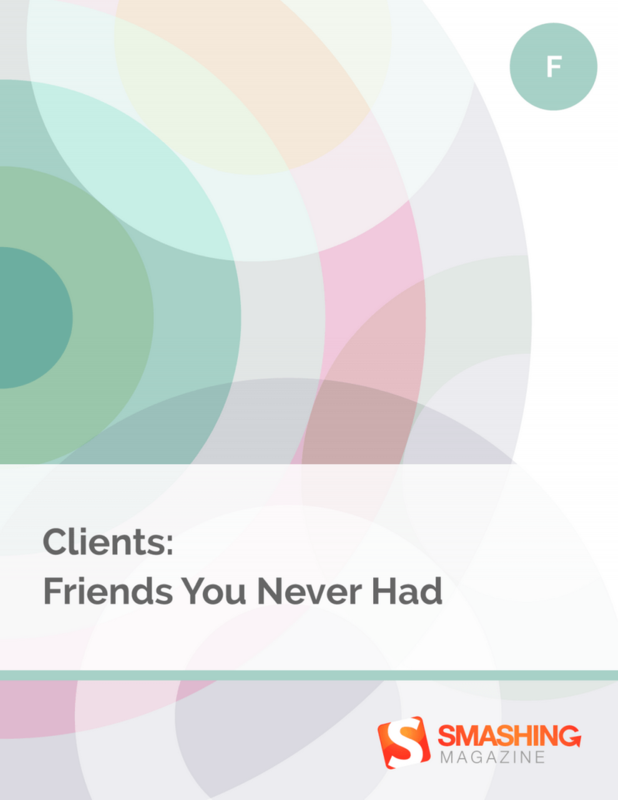 Weighing the benefits and perils of common marketing practices, it takes designers by the hand as they develop an understanding of what friendly and appealing marketing is all about. 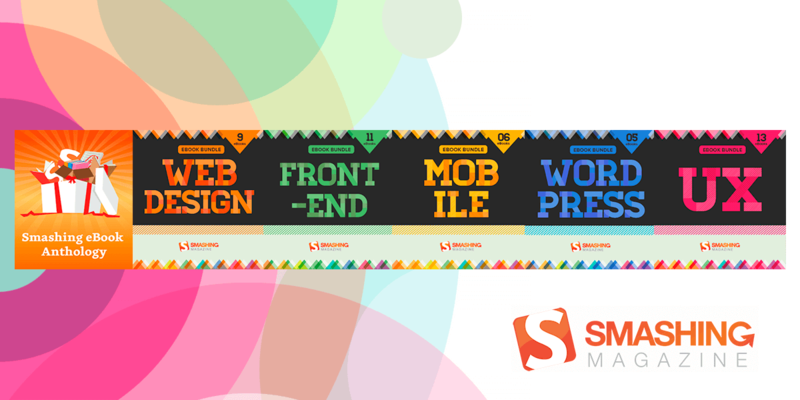 Web design is more than a job. It’s a passion. 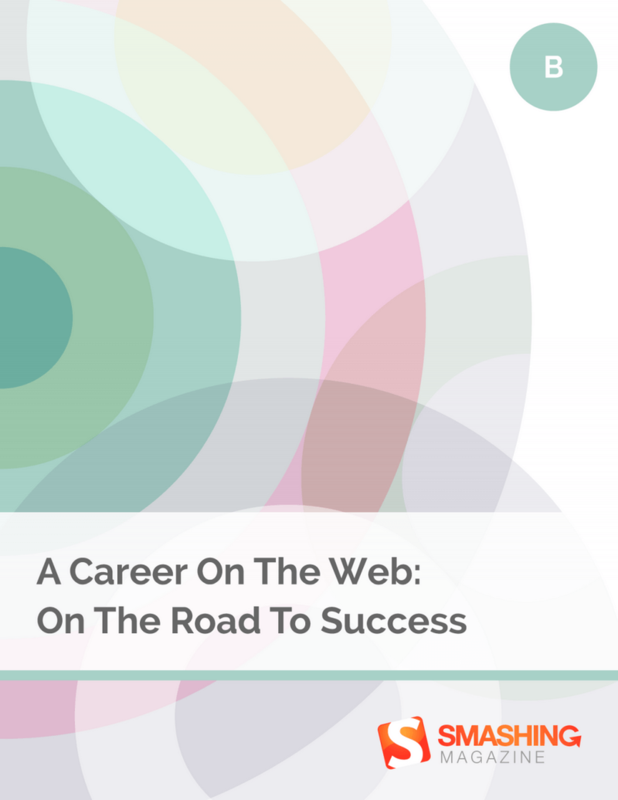 However, keeping up with the immense pace at which the web industry is moving can feel quite intimidating at times and stress or even a burnout can strike all of us someday. 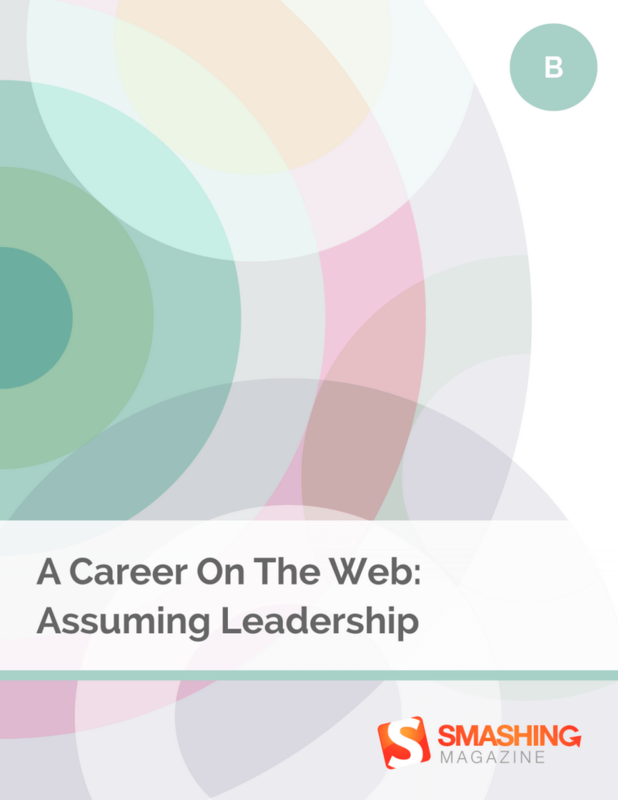 With this eBook, we want to raise awareness for those aspects of the web industry which are not frequently talked about. It’s not about frameworks, code or scripts for a change — today it’s about you.